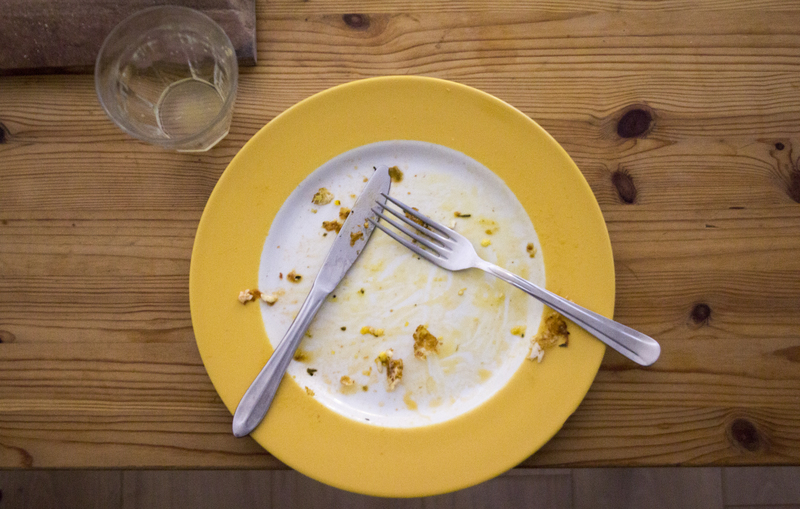 If you show me your dinner plate, what can I tell you about yourself? 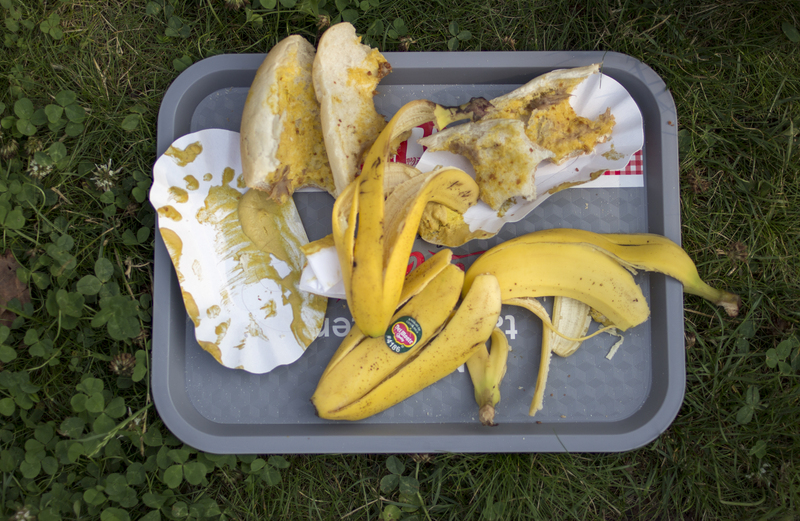 This ongoing photographic project began with an interest in the semiotics of dining. It has become a survey of the culinary cultures of different people and different regions and their socio-cultural relationships. The Images. 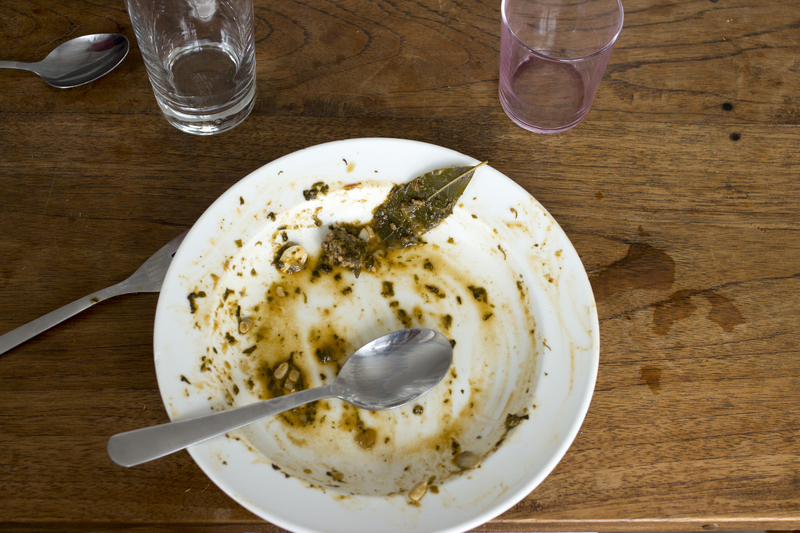 The photographs are of the individual dinner plates and leftovers of people who have eaten a meal together. The plates are presented and an analysis is made of the diner’s identity, gender, preferences, dislikes, allergies and other characteristics. The Setting. When we eat a meal we come together, we talk and we share. This model of dining is common to almost every culture. What is typical can also be surprising and fascinating if we regard the table as we would the stage in a theatre. The Theory. It is possible to describe the social dimensions of our daily eating habits using Goffman’s theater analogy and his performative model of dramatic interaction. In this model the kitchen functions as the backstage area, out of which the plates are brought to the table or stage, which is set up with cutlery, glasses and decorative elements functioning as stage design. Finally the diners play the actors and the food is the play itself. The project is featured in a chapter of “Diskurse des Alimentären” by Eva Gredel and Hannah Dingeldein published by LIT Verlag. The project was invited to the conference of the XI.International Conference of German Studies 2015 at Tongji University, China. You want to contribute to the project and are hosting a dinner party, barbeque or else in Kuala Lumpur, Düsseldorf or …? Get in touch to see if I can stop by to take pictures. But psst, none of your guests can know in advance.